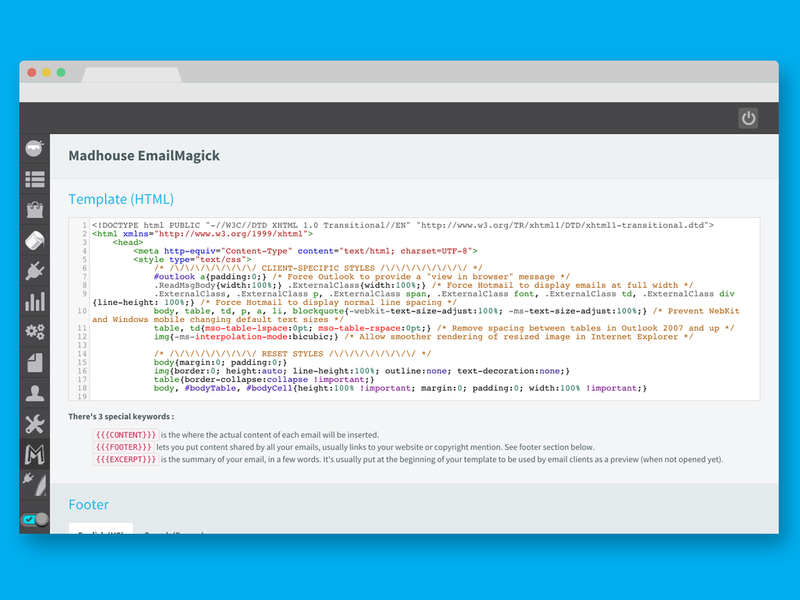 Madhouse EmailMagick is a simple and free plugin for Osclass to help you design and manage emails. It separates design and content of emails, so you can quickly apply the same design to all your emails and provide an easy way to edit many of them at once. 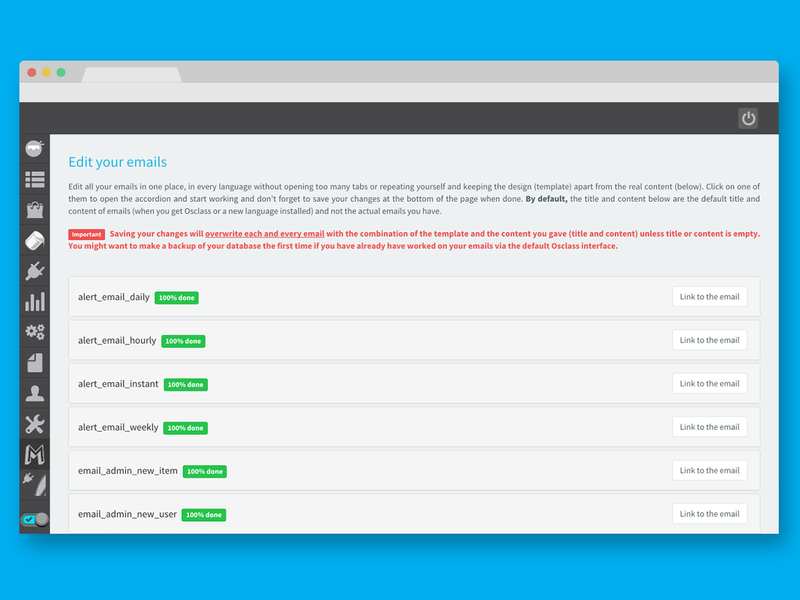 Osclass gives you a way to manage emails but if you need to edit a bunch of them or redesign them all, it can be tricky. Madhouse EmailMagick gives you an interface to edit all your emails in one place without reloading the page or opening billions of tabs in your browser. 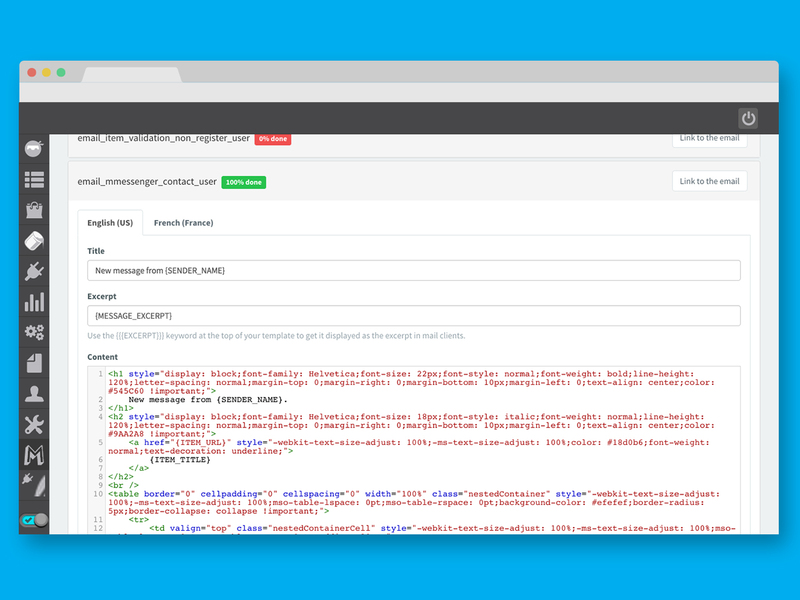 This plugin has been tested on PHP 5.3 or later and Osclass 3.3 or later.